A new e-bike claims to provide a boost to your cycling when you need it, without having to be recharged from the wall. A marriage of Italian design and Swiss engineering has given birth to the Velocipede Fogliaverde – a classically styled e-bike inspired by the elegant, high quality cult bicycles of yesteryear. The Velocipede Fogliaverde is a classic double-butted steel frame. 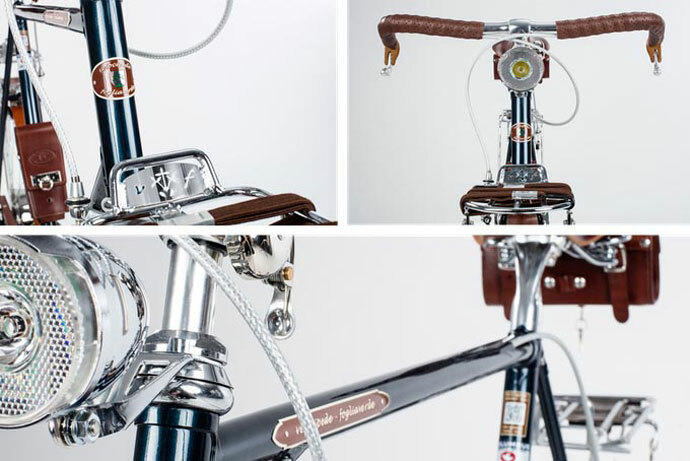 Fully lugged steel frame made of double butted and high-quality Italian Columbus tubes that are brazed by hand. 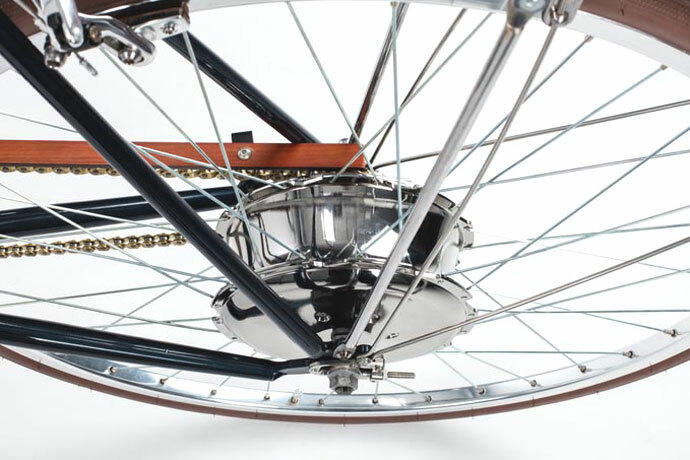 The clean lines of the single-speed design are preserved by rear hub with an integrated battery, sensors and electronics. In compliance with European law, the 250W motor can deliver an unassisted speed of 15.5 mph, but seven modes allow you to choose exactly how and when your riding gets an electric-powered boost. For example, one option automatically provides assistance when needed and recharges using regenerative braking. When set to this hybrid mode, the bike does not need to be recharged. A more conventional topping up of the 160Wh lithium-ion battery, via a wall socket, takes two hours. The Velocipede Fogliaverde is available for pre-order at a cost of around £2,500. ETA Cycle Insurance covers road-legal electric bicycles, e-bikes and pedelecs as standard. When you compare cycle insurance for your e-bike, it is vitally important to check the small print. Almost every single pedelec or electric bicycle sold and in use in Britain today is rated at 250 W. However, some cycle insurers do not cover bikes over 200 W. Cycle insurance from the ETA extends its definition of a cycle to include any mechanically or electronically-assisted bicycle weighing less than 60 kg and with an output not exceeding 250 W /15.5 mph.